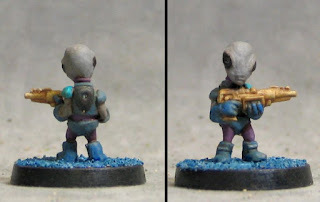 1st Zombiesmith Grey Alien Painted! 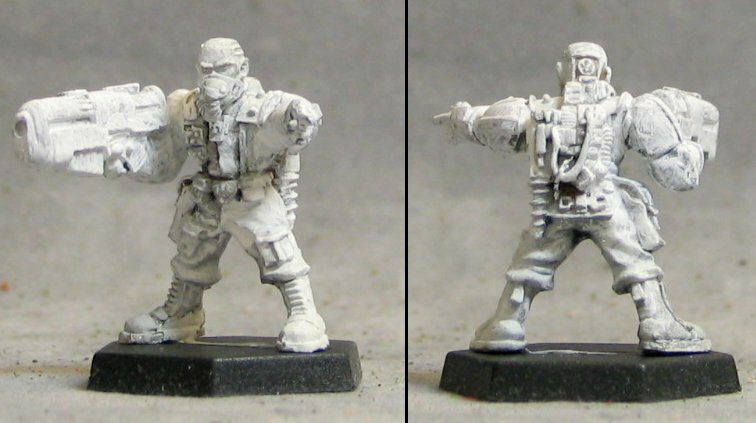 I've been planning several not-GW 28mm Inquisitor style Warbands for quite some time. The other day I took a big step towards making one of them a reality. I've been fascinated with the idea of a cybernetic/robotic army since the original Terminator movie, but in miniatures it was probably the Cybertronic Corporation from Warzone that got me thinking it could be a reality.I've always been a fan of the original 40K fluff and so thought about using some Cybertronic minis as stand-ins for some of the Adeptus Mechanicus. The collecting of those figs went well, but I only painted up a few here and there, not much of a theme developed before I sold most of the Cybertronic minis off in favor of the (at the time) new cyborg/robot army- the Syntha from Void. Not only were there some cool robot troopers but they were also sculpted by Kev White, one of my favorite sculptors. 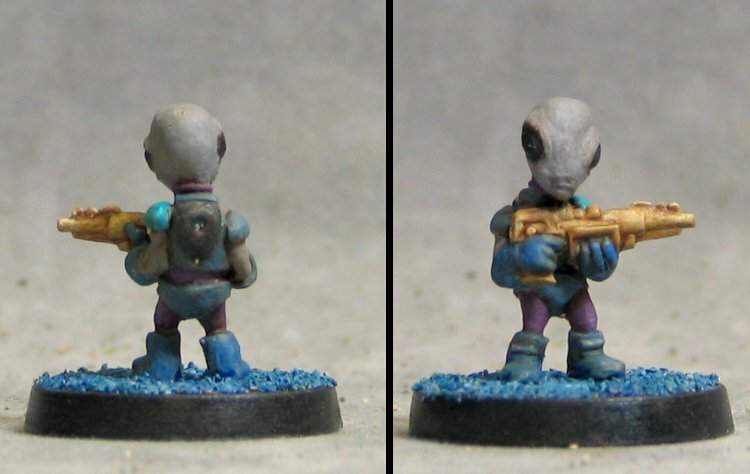 Anotehr interesting mini from this first batch is a Servitor converted from several plastic bits. He's got a Wargames Factory Zulu body with a Void plastic Junkers helmet, his left arm is a cleaned up old plastic Eldar arm, his right arm is some twisted wires to from the tech-tentacles, and he's got various other bits to help make him look more the part.